The Oregon Ducks have once again rebooted their NCAA Tournament chances this season with a complete game win over UCLA on Saturday afternoon. Five players were in double figures, four by the midway point of the second half. 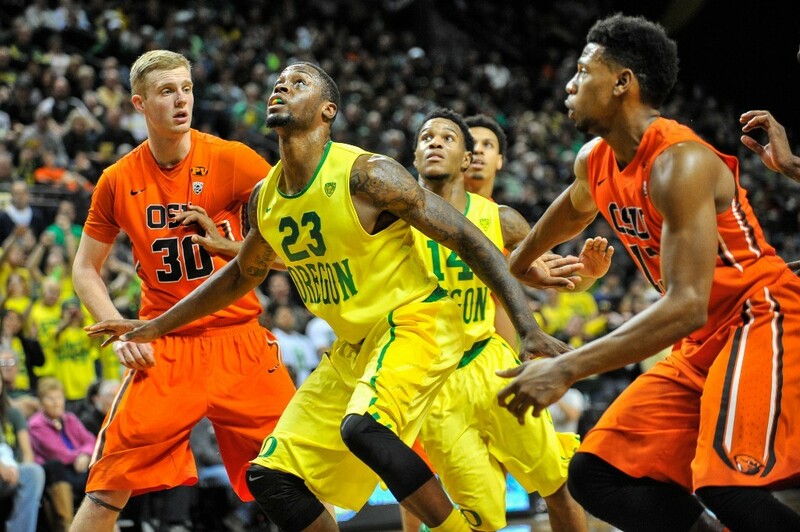 As a team Oregon shot close to eighty percent in the first half. They finished the game shooting sixty-two percent and distributing the ball efficiently throughout the game. 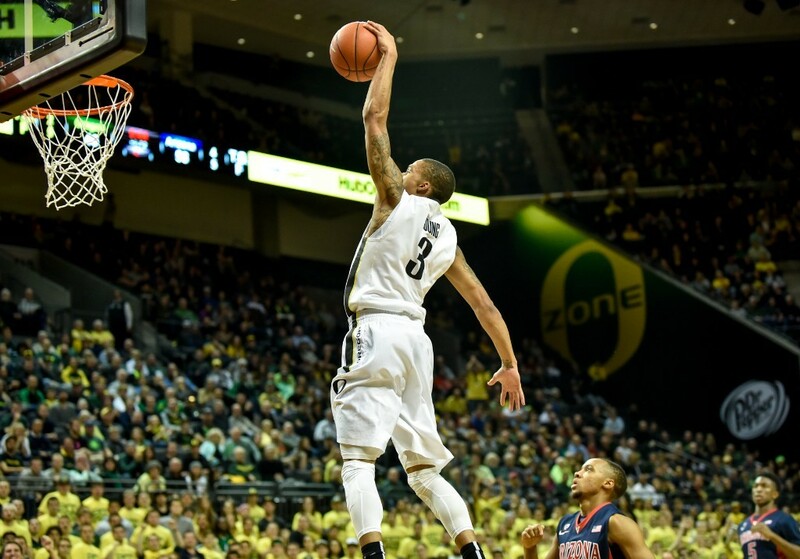 Dana Altman now has a chance to go on the road with a new Offense and cause some damage in the Pac-12. It will likely be the last opportunity to make the NCAA Tournament this week and the road will not be easy. Oregon will need to sweep both Arizona on Wednesday and Arizona State to remain in the discussion. Winning against UCLA cannot really be seen as a ‘statement’ win, but more of a solid win – at least this season. With the victory the Ducks are now in fourth place in the Pac-12 after falling to seventh after losses last weekend against Washington and Washington State on the road. Speaking of the road, the rest of the way the Oregon Ducks will have to be road warriors. The team has just four games remaining this season in the friendly confines of Matthew Knight Arena and seven games on the road. Home games for Oregon that remain include the Washington schools next week and a showdown with Utah in a few weeks. I still think that the Ducks have a chance to make a move and make it into the field of sixty-eight, but there is a lot of work to do to get there. While a loss at Arizona won’t completely sink the ship, a win would go a long way in shifting the narrative of this season from a ‘growing pains’ year to another magical season that Altman finds a way to get it together and make another run. I still feel that the NIT is where this team will probably end up. When it comes the NCAA Tournament seeding matters. Oregon would likely have to win out to have a shot at a five seed or higher. If they make it as a twelve seed or worse they will likely be eaten alive by Kentucky or Michigan State. Oregon has to find a way as they have this season to survive. They did it against USC last Thursday. I’m not sure they have enough in the tank to sustain the rest of the season. The narrative began Saturday with a win over UCLA. Can it continue to be positive with a win over Arizona?